For centuries those who hold power in society have been persecuting and executing our genius minds in the name of heresy and crimes against the church. Galileo, the Italian philosopher, mathematician, engineer, and astronomer figured out that the sun did not go around the planet. He was punished for revealing this scientific fact with house arrest where he continued to write about his findings. He was lucky. He was not committed to the pyre as so many others were. He was lucky. He was not female. 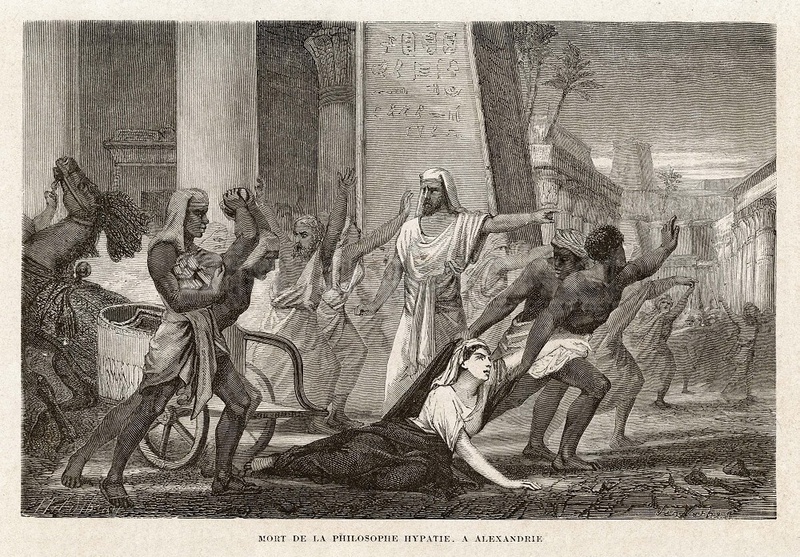 Hypatia, in earlier days, was also these things that Galileo was and was murdered by a Christian mob accused of what most females are accused of in those days- creating conflict. I suspect there was far more to her murder than just the fact she was controversial. Reading documents from those who fanned the witch hunts and Spanish inquisition reveals some very interesting things to me. It’s not necessarily about the Church, the Church is just a means of acquiring power and control. I don’t know about everyone else, but I know that I am left amazed and horrified by the levels of misogyny still present in the modern era and left wondering where it came from. Turns out most of it comes from those who built their empires in the Church. They created doctrine solely aimed at the degradation and defamation of an entire gender, not just witchcraft, that can be practiced by both genders, but women. Within the Malleus Maleficarum things like Eccleisiasticus is brought up with care to not only point out wicked women, which there surely are, and suggests that there is a specific kind of wickedness that goes along with being a woman. Cicero is mentioned as saying in his writings entitled The Rhetorics- men are led into all sins through the lust of women. Seneca, yes fiction here is used in the complaints against and hunts for ‘witches’, says that when a woman thinks alone, she thinks evil. Within this text and others of the same few centuries it is made clear the agenda to create a vision of the female gender as nothing more than a necessity that is dangerous and evil- a weak-minded, vile creature that you must punish yourself with in order to create sons. These thought forms were held in place for not just a few generations, but for centuries. The words witch, woman and evil- to this day- are associated with each other. Really think about that- let that sink in. It is just recently in my memory that men have been very vocal about their place in witchcraft and openly declaring that men have the right to bear the title witch as well. 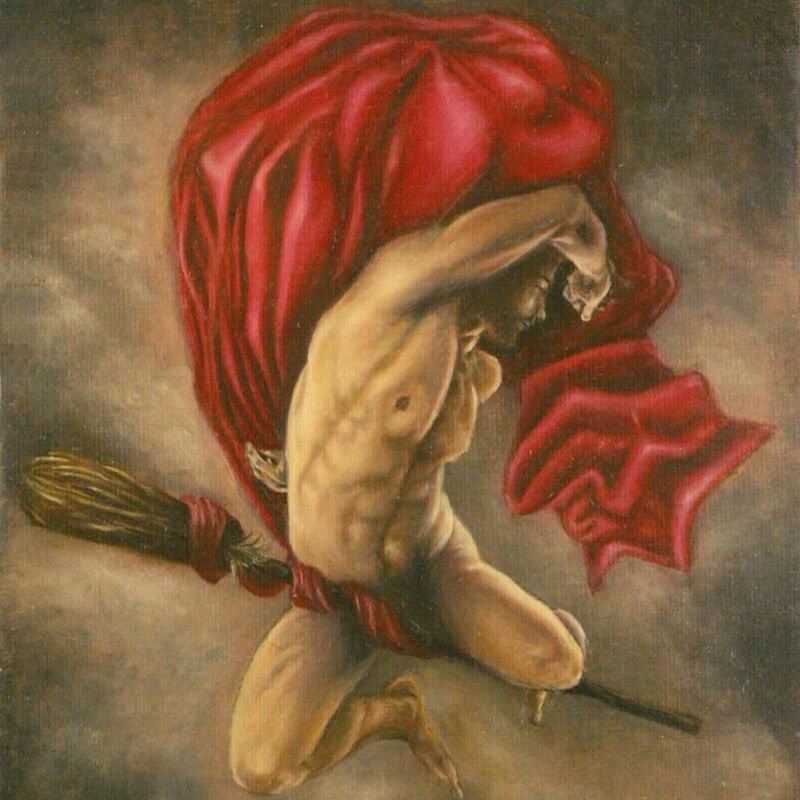 I remember how I felt the first time I saw a piece art of a man riding broom. It brought a sly smile to my lips and a great big huzzah went up in my heart. I ran across an article on Face Book about an interview with a retired priest and his ideas on how Hell isn’t real, but instead a means to control people with guilt and fear. ( Sounds like an abusive relationship to me) He goes on to speak about how becoming ‘born again’ enforces the mental attitude of being a child- because true adults cannot be controlled. Why is it that an entity like the church requires such a drastic amount of control? Why is it that women threaten that control? That is what it is. . . the first thing you need to do in order to dis-empower any one and seize their control is to demonize them. To this day men, under the influence of a power drunk entity we know the Church to have become, feel the need to not only control women and their bodies, but to make sure their representation in power is completely inequitable. Don’t believe me??? Look here. If it is demons who seek to hinder man’s progress, how is it that it is actually the Church and it’s doctrine created by its clergymen that are actually the ones who have hindered our progress and refused to let mankind grow up as it should? Maybe it’s the Church and her men who are possessed by demons. Even within these texts it is theorized that demons and witchcraft can not abide without God’s permission. Within these texts it is also pointed out that to not believe in witchcraft and witches is heresy. Within these texts it is pointed out that it is women who are weak and most likely to turn to witchcraft for vindication. ( I would like to point out here: what did these men do to deserve being worked against. . . sorry have to ask.) This era of men in power went to great lengths to create entire libraries of demon classes who and why they can assault mankind and then whipped up a frightful frenzy- of course, it was also only they who were qualified to identify, judge, persecute and execute those who consorted with them. It likely can be traced back to the “original sin”, that being Eve, the first female, eating the apple presented by the serpent, representing evil or ‘Satan’, and using her charms to seduce Adam into following suit, as told in the book of Genesis in the bible. The foundation of Christian enslavement most likely written by the Romans to bring the unsavory Jews and their ilk into submission to Roman rule. Just a thought. When I first started researching as a young woman the direction I felt I should go. I came across such information as you’ve mentioned here. I knew mine wasn’t a beaten path to follow and had known since I was a quite young. Seeing another’s understanding is wonderful.